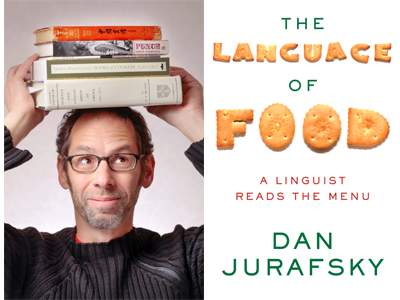 Stanford University Linguist and Mac Arthur-fellow Dan Jurafsky peels away the mysteries from the foods that we think we know with his joyous exploration, The Language of Food: A Linguist Reads the Menu. From ancient recipes preserved in Sumerian song lyrics to colonial shipping routes that first connected East and West, Jurafsky paints a vibrant portrait of how our foods developed. A surprising history of culinary exchange a sharing of ideas and culture as much as ingredients and flavors lies just beneath the surface of our daily snacks, soups, and suppers. This event is being co-sponsored by our neighbors at Mayfield Bakery, who are kindly providing tasty treats for the evening!